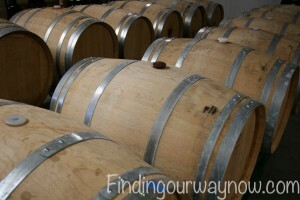 Croft, founded in 1588, is one of the oldest continuous port wine producers of its kind. The fact that Croft remains a family business is a testament to their ability to pass down the time-honored winemaking traditions through each generation. It is consider one of the most distinguished of all Port vintners known for its vintage Ports, their wood aged reserves and tawnies. After acquiring the Quinta da Roêda estate, considered to be one of the finest vineyards in the Douro Valley, the family continued to produce some of the finest Ports of all the various styles. 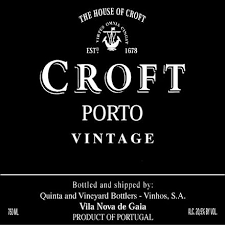 One these ports is their many iconic Croft Vintage Ports prized by the many wine connoisseurs. If you ever have a chance to visit this amazing winery and tasting room at the house of Croft in the Vila Nova de Gaia be sure to do the guided tours of their Port cellars, not to mention the chance to taste and purchase a wide range of Croft Vintages. I know it’s on my list of future places to see and enjoy. On a side note, most of the best ports do come from Portugal. This Croft Tawny Port is worth the time to find. Look for it at Cost Plus/World Market, wine.com, totalwine.com, amazon.com, bevmo.com, or any good wine purveyor. So go grab a bottle of this Croft Tawny Port, add a nice cheese board and maybe a bit of chocolate and indulge yourself. I hope you go out and find this gem and give it a try, it will not disappoint. If you enjoyed reading about this “Croft Tawny Port,” check out Taylor Fladgate 10 Year Tawny Port, Smith Woodhouse LBV Port and Ficklin Vineyards 10 year Tawny Port.